← It Is Better To Give Than To Receive – Explained. Good afternoon and thank you for joining us once again on an adventure in understanding true alignment. Yes, as lightning, also as lightning like bolts of electricity on around a spark. I have also seen it in a plasma light. Plasma ball with energy evenly distributed. That is exactly what we are talking about. 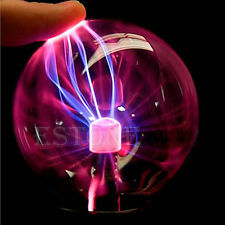 Get an image in your mind of a plasma ball. Notice the way that the electricity is spread out evenly throughout the surface of the bulb. 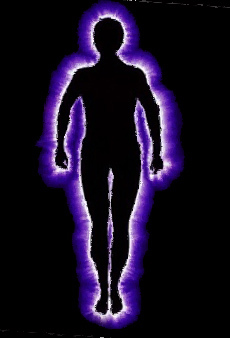 Kirlian Photography of a human body. That is how the energy is running in your life. You can’t see it, but that is what it looks like if your eye could dial it in. When you are nutral, your energy is evenly distributed. However, when you are worried about something the energy focuses itself in the direction of your attention. The worry is a focused thought so the life force energy that you use to create, all flows in the direction of that worry. It is creative energy, so if you focus on the solution, you will find one, if you focus on the problem you will find one! If you have desires that you are thinking about, your creative energy, just like lightning attaches itself to the nearest object of your desire. It streaks out through the atmosphere and attaches itself to the object it finds, that is within the path of least resistance. 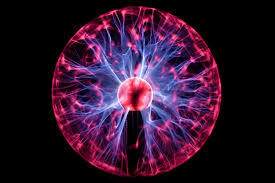 Plasma ball with tension put on the field. So let’s say that you have a desire for a purple umbrella. You see a photo of a purple umbrella. The first thought you have is … “I love that umbrella.” So the lightning streaks out and attaches to a purple umbrella. This energy is connecting, and creating that which you are focusing on. The next thought you have might be, “It will not go with anything I own.” So the lightning strike lets go of the purple umbrella, but you keep looking at the color and thinking how beautiful it is. So the lightning strikes again to the exact color purple of that umbrella. If you leave without negating this thought in some way, you may find that you end up finding a shirt or a jacket of that exact color. Another scenario will be that you end up buying or having someone give you an umbrella… a blue one or a red one, because they are both in that color of purple. It will be close. Your energy is always reaching out and connecting to the things that you are seeing and are choosing to focus on.